One sunny Friday morning in May 2002, your correspondent was returning from his weekly commute to New York. Pulling up outside our modest lair in South London in the taxi, I was surprised to find the parking space occupied by a huge, and beautiful gun-metal-grey sports car. On closer examination I saw this was an Aston-Martin Virage, a model which was notable to me only because Prince Charles used to be seen driving around in one. Going indoors, I remarked to my DLW and her brother G**ry (who was visiting at the time), how remarkably the tone of the neighbourhood had gone up since I had left the area on Monday. They let me burble about this for a while, and then the DLW handed me a set of keys, and said ‘oh – by the way – it’s yours – happy birthday’. ‘Feather’, ‘down’, ‘knocking’ were all useful descriptive words for my reaction to this astonishing and loving gift. I had never I think expressed a desire to own an Aston, or even a sports car particularly, but she felt somehow that this was an appropriate vehicle for me. And so, I think it has turned out to be. With the 10 year anniversary of this wonderful gift coming up, and some recent discoveries in the maintenance of the vehicle, I thought I would offer a series of posts on the design, care and feeding of this classically English thoroughbred. 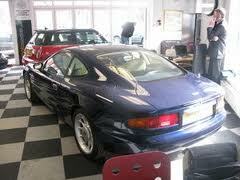 The Virage was essentially the last hand-built car made by Aston-Martin. Weighing over 2 tonnes, it had a hand-formed aluminium skin over a steel A-frame chassis, in a new and beautiful shape. At the time it cost £120,000, or around £220,000 in today’s money. It’s essentially a very luxurious grand tourer, with a huge 5.3 litre V8. This engine provides high torque at 364 lb·ft – it’s possible to do a wheelie at 50mph on mine – but the car will do 0-60 in around 6.5 seconds, and go on to nearly 160 mph. For a 22 year-old 2 tonne car that’s quite impressive. Inside it’s a sea of black Connolly hide leather surrounding burr walnut panels. Very much the old school, and very comfortable. 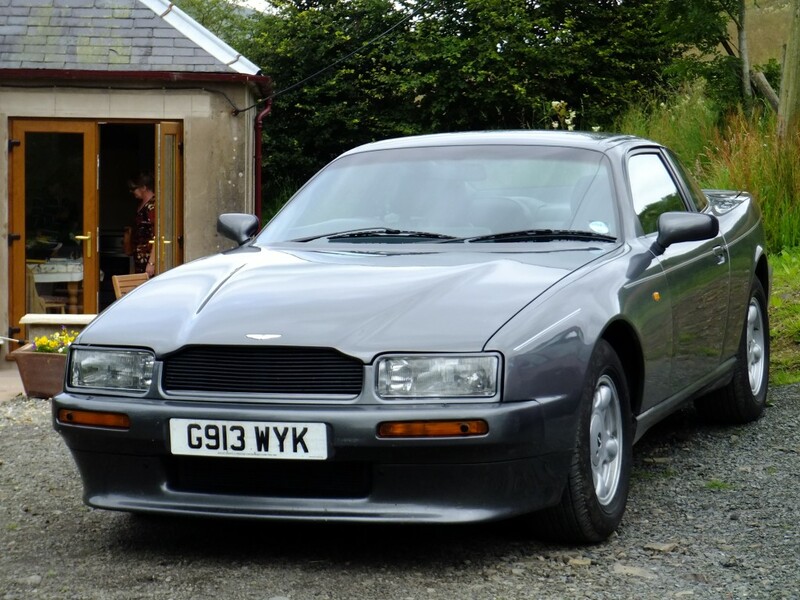 In styling the Virage took cues from the previous v8, and reflected the sharp-edged lines of the day, but it also set the format for all future Astons, with its long flowing shape, and highly characteristic rear deck – to my eyes one of the most appealing aspects of its design. 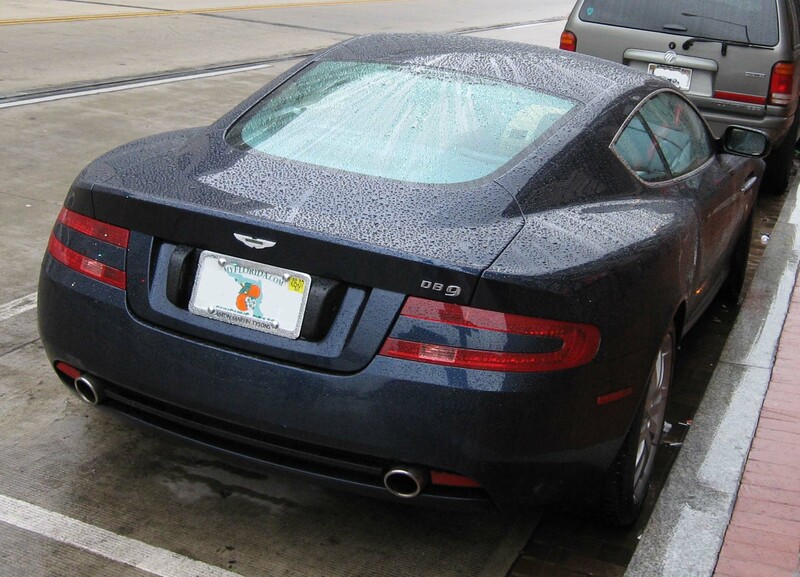 For comparison, here’s a DB7 from the rear – a design that took Aston right up to 2004. And here is the evolved shape of the current DB9, still echoing the design cues from the Virage twenty year before. 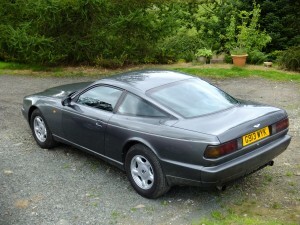 Only 363 of the first series Virages were ever made, and although the design evolved into many variants, the entire Virage-related run was only 1050. Of the first, original Virages, only around 280 are running, with most of the remainder off-road – possibly in collections. So mine is a fairly rare beast. It’s provided many high points over my time with it, and a number of lows. We’ve gained a lot of experience with it in that time, and in the next few posts, I want to pass on a bit of that knowledge primarily for other Virage owners and enthusiasts.